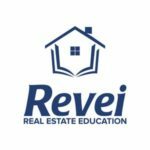 Revei’s DRE accredited salesperson courses provide a simple and clear method for getting your real estate license. Couse work is completed from the convenience of your home or office. Your Real Estate Career Begins Here..
Each course comes with its own study materials. To complete each course you must complete and pass a 100 question multiple choice, open book exam. A passing score is 60% or better. All final exams can be completed online or with a proctor. Use Promo Code rexcareers for discount on your enrollment! "I'm so excited that Realty Executives Santa Clarita has brought back Real Estate School! I went through the training 16 years ago and started my real estate career with Realty Executives. I'm so glad I did! I had my best year yet in 2015 and was ranked in the TOP 20 in the company." "I highly recommend the Realty Executives Real Estate School. I attended the school 13 years ago and I accredit my having passed the State exam on the first try because of the information, study guides, and materials I received from their school. The crash course they offer was also very instrumental. Get the information and training you will need to pass the Real Estate State Exam with ease by attending the Realty Executives Real Estate School." "Real Estate School is one thing, working for a company that gives guidance and mentorship is another and that is exactly what Realty Executives does. I attended their Real Estate school 16 years ago, and could not be happier with their Management Team and available resources." Questions About Our Real Estate School?